In the 60s, Ronnie and Reggie Kray were Britain's most notorious gangsters. With violence and intimidation they were the kings of London. They sipped champagne with celebrities and rubbed shoulders with politicians. They were untouchable. Until they weren't. 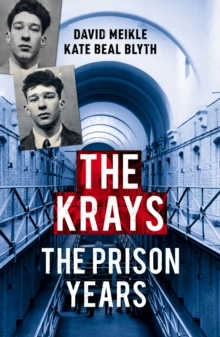 After an undercover operation, the Kray twins were found guilty of murder and were sentenced to life in prison. They were just 35 years old. But once inside, the twins were determined to make their stay truly historic. The Twins began earning more money inside than they ever did on the streets. They sold branded t-shirts and memorabilia and they allowed books and films to be published about their lives. They didn't stop. Whilst locked up, their mother died as did their brother Charlie, and their associates and friends all fell away. But while Britain changed as a nation, the brothers continued to operate as the gangsters they once were. Their violence ingrained so deep that they couldn't leave it behind.